I am so glad that you gave it a try and thrilled you liked it as much as I did. I feel like it hasn’t gotten half the attention it deserves (and yes, “My Olivia” is so powerful and original). Book twins forever! I skimmed your review, because I just got my copy yesterday and I can’t wait to read it. I have to thank Eleanor too for urging me to pick this one up!! I didn’t realize that it was a novel and not a memoir. Might have to put this on my wish list. I’m not sure this is a genre I like but your review made me think twice about this book. Will definitely keep it in mind. I’m glad to see your review of this! 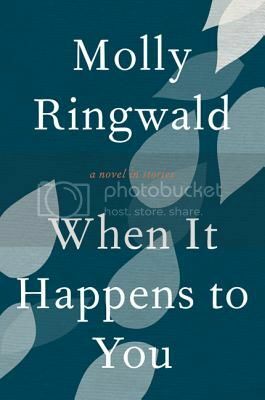 I had heard that Ringwald had written something but I haven’t heard much about it. Sounds like a good one and one that I might have to pick up! I heard an interview with Molly Ringwald on NPR, and thought this book sounded interesting. I’m glad to know it lives up to the promise. I think I’ll nominate it for our next round of book club books. It would be great to discuss at a book club! I did get a copy of this book at BEA (my friend snagged it for me because my love of all things Brat Pack) but I haven’t had a chance to read it yet. Now I’m really looking forward to it!